Deadline reports that Warner Bros. is planning a Batman spin-off that will focus on the early criminal career of The Dark Knight's arch nemesis, The Joker . However, word is this will not be directly connected to the current crop of DCEU movies and Suicide Squad's Jared Leto will not return to play the Clown Prince of Crime. Apparently, writer/director Todd Phillips' project is to be "the first film under a new banner that has yet to be named in which WB can expand the canon of DC properties and create unique storylines with different actors playing the iconic characters." In other words, it will exist alongside the DC Films Universe, in which Leto is still on board as the present-day Joker. Is the studio attempting to create a big-screen version of The Multiverse? Certainly looks that way. The spin-off has none other than Martin Scorsese on board as a producer, and Deadline reckons the legendary director's early work like Taxi Driver and Raging Bull will be a big influence. The intention is to make a "gritty and grounded hard-boiled crime film set in early-’80s Gotham City." 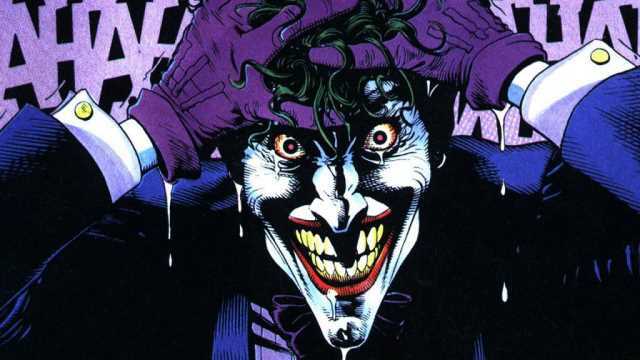 JOKER Movie May Feature A Bullied Younger Take On The Classic BATMAN Villain With A "Permanent Smile"
Last week, news broke that WB was planning a Joker origin movie that would not be set in the current DCEU. At the time we were told that the Todd Philips-helmed film would take influence from producer Martin Scorsese's early work such as Raging Bull and Taxi Driver, and now we might just have a few intriguing - if no doubt polarising - new details to add. How much stock you decide to put into this is up to you - but there is a decent chance Schaub did hear a few tidbits relating to the project, which is only in the very early planning stages. How would you guys feel about a little proto-Joker being bullied as he runs around the mean streets of Gotham with a perma-grin? Listen to Schaub's comments for yourselves around the 1:03 mark, and be sure to let us know what you think in the usual place. qs6e-3KsHi8&ap=%2526fmt=22&fs=1" width="858" height="508">qs6e-3KsHi8&ap=%2526fmt=22&fs=1" />Something went wrong. Please make sure you added the video correctly. In a shocking turn of events, it's been revealed that Warner Bros. is hoping to cast Leonardo DiCaprio as The Joker in the Clown Prince of Crime's upcoming standalone solo movie but Jared Leto isn't happy. 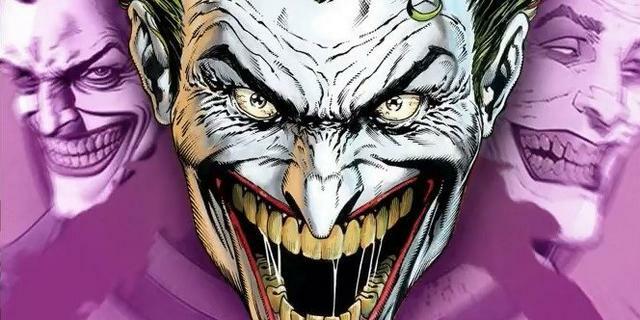 It was last week we learned that Warner Bros. is developing a Joker movie which will tell the twisted origin of the villain in a world set apart from the DC Extended Universe. Perhaps the most surprising thing about that news, though, was that Martin Scorcese was listed among its many producers. While it was mentioned that the studio was looking at Taxi Driver for inspiration with how best to handle the movie, it's still an odd fit but The Hollywood Reporter reveals that the plan is for them to use the filmmaker to help finally bring Leonardo DiCaprio into the world of superhero movies. An offer hasn't been made to DiCaprio and Scorsese's deal to produce isn't even completed yet but Warner Bros. is clearly looking to make an awards worthy movie here which will be on par with Christopher Nolan's The Dark Knight Trilogy. However, one person unhappy with this plan is Jared Leto. The trade adds that he's unhappy with plans to use multiple Jokers and has made his displeasure clear to his CAA agents. That's led to rival agency WME attempting to add the Oscar winner to their ranks! Whatever happens, the hope at the studio is that they can find an A-List actor to play the Clown Prince of Crime "as a gritty crime boss in a Scorsese-esque Gotham underworld." Would you like to see DiCaprio don the iconic face paint? As always, be sure to let us know your thoughts in the usual place. We first heard about WB's plans for a standalone Joker movie last month, & now we're hearing that the script could be handed in next week. Does this mean that the movie will be ready to shoot in 2018? It was just a little under a month ago that the news first broke of Warner Bros.' plans for a standalone Batman spinoff based on the early life of The Joker, and now we're hearing that Todd Philips' script (a first draft, presumably) might be ready to turn in as early as next week. Variety's Justin Kroll shared the update via Twitter, and reckons this news could indicate a 2018 shoot. The Joker origin movie will not star Suicide Squad's Jared Leto as The Clown Prince of Crime. Philips will also direct, and the project has Martin Scorsese on board as a producer. Apparently, the intention is to make a "gritty and grounded hard-boiled crime film set in early-’80s Gotham City." Joaquin Phoenix is in talks to play the Clown Prince of Crime in Warner Bros. and Todd Phillips’ untitled Joker origin movie. While studio negotiations are not yet underway, Phillips has made it clear that Phoenix is the top choice to star and sources now tell Variety that, after thinking it over, Phoenix has agreed to the role. WB had no comment. Phillips is on board to co-write and direct the movie. Phillips had met with Phoenix before the new year and was just waiting for the studio’s go-ahead, sources say. The movie would fall under a yet-to-be-announced new banner of DC Comics, which would give the studio the opportunity to expand the canon of the iconic comic-book characters with unique story angles that aren’t included in its current cinematic universe. Jared Leto most recently played the Joker in “Suicide Squad” and is likely to reprise that role in “Suicide Squad 2,” but will not be featured in this film. Rumors circulated that Leonardo DiCaprio was the first person approached to star in Phillips’ standalone film, though that didn’t pan out. The Joker solo film is still shrouded in mystery, but a new report reveals what the clown prince of crime's origin might be for the project. The Joker origin film is being directed by Todd Phillips, and according to The Wrap, that origin will depict the Joker as a failed 1980s comedian who turns to crime after bombing time and time again. This might explain why Phillips enlisted the help of Martin Scorsese, who is producing the project. Scorsese has tackled this subject matter before in the 1982 film King of Comedy, which starred Robert De Niro as a similar down on his luck comedian who couldn't turn things around. According to The Wrap's sources, there will be some references to that film in the Joker project. 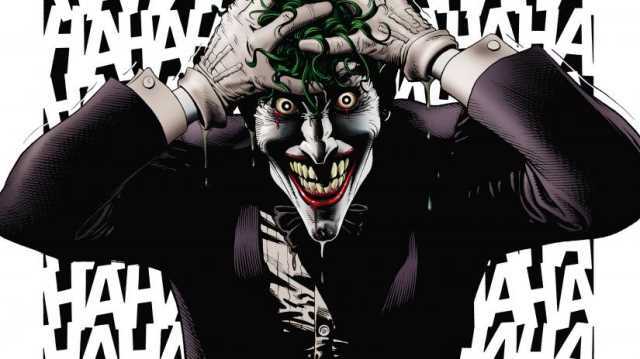 That also has ties to the popular Joker tale The Killing Joke, which had a similar take on the character's origins as a struggling comedian who snapped after a bad day. At the moment the film does not have anyone cast, though Joaquin Phoenix is in talks to star in the movie. His involvement would also sit quite well with the subject matter, as Phoenix has never had a problem playing flawed and at times destructive characters. It fits within Phillips' wheelhouse as well, who wrote and directed the Hangover films. Those films often found laughs in the midst of dark scenarios, and this team the studio is assembling definitely fits that m.o. The Joker origin film is part of a new division of DC films at Warner Bros. that don't fall within the established continuity of the previous DCEU films. That frees it from having to star the same actors or include references to other films in an attempt to world build, so Jared Leto's Joker will still exist in the DCEU despite Phoenix also playing the character in theaters. There's currently no release date for the Joker origin film, though it is expected to start production sometime in mid-2018. That said, it is also reported that there could be delays, as Phillips and Scott Silver are currently working on the script. 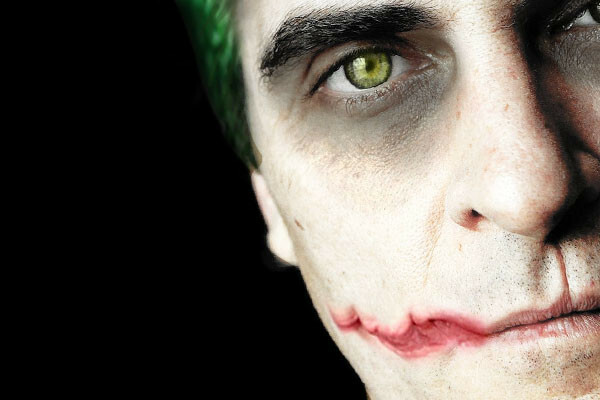 There have been several recent reports that Todd Philips' standalone Joker movie was zeroing in on Joaquin Phoenix (You Were Never Really Here, Walk The Line) to portray the iconic Batman villain, but the Academy Award-nominated actor still hasn't confirmed (though he hasn't outright denied, either) that he's been in talks. The last time Phoenix was asked about the rumor he denied all knowledge of it, but during an interview with Fandango, he does admit that playing the character "could be interesting" while sporting a "mischievous grin on his face." If Warner Bros.' Joker origin film has managed to pique the notoriously picky actor's interest, there's a good chance the script is of a very high quality. At any rate, we'll just have to wait and see if we get some kind of official confirmation of Phoenix's involvement. In the meantime, let us know what you make of his comments in the usual place. Joaquin Phoenix wouldn’t be pressured following Heath Ledger’s take on DC’s Clown Prince of Crime if he ever takes on the lead role in the upcoming Joker origins movie. Directed by The Hangover helmer Todd Phillips while prolific filmmaker Martin Scorsese is being courted to produce, the movie will be a period piece set in the ’80s and will follow the Joker during his days as a struggling comedian. The Joker origins film is not the first comic book film that Phoenix was attached to. For a time, he was one of Marvel Studios’ pick to play Doctor Strange, which as fans know, eventually landed on Benedict Cumberbatch’s lap. With the veteran actor’s chops and range, it’s undoubtedly curious to see what his approach to playing Joker would be. One thing’s for sure, however, if he signs on for the film, his take will be different from Heath Ledger’s critically-acclaimed portrayal of the same role in Christopher Nolan’s The Dark Knight. 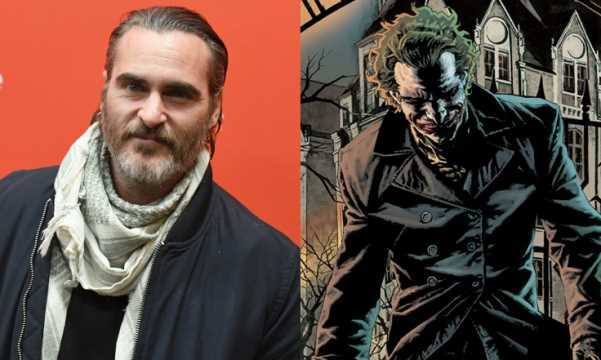 Speaking with Collider while doing the promo rounds for his latest project, You Were Never Really Here, Phoenix was once again asked about rumors of him possibly playing the Joker in the DCEU-separate origins movie. While the 43-year-old reiterates that he’s unaware of such film, he commented on the possibility of him taking on the gig and making it his own. He explains that while he would practically be playing the same role, his take on the villain would undoubtedly be different from Ledger’s iconic iteration because comic book characters have always been open to interpretation depending on the writer, story, and actor. Phoenix continues to maintain that he doesn’t have personal knowledge of possibly playing the Joker in DC’s forthcoming Joker origins story. But considering him being more forthcoming regarding the matter, it’s difficult not to assume that he has at least heard about the gig and possibly even had talks with Warner Bros. or anyone else involved in the project. That’s not to say that he’s basically confirmed for the role, because other than rumors, there is currently no solid evidence that backs-up speculations. Nonetheless, with the film supposedly starting filming some time this May, Phillips, and Scorsese may already have their lead actor locked in and just waiting to be announced. With the possibility of two separate versions of the Joker on the big screen around the same time (the other one being Jared Leto who’s set to reprise the role in Suicide Squad 2), it’ll be interesting how Warner Bros. will differentiate the iterations in a way that people won’t get confused which is which. Sure Phoenix and Leto will certainly be able to portray the role different from each other, but DC Films should be able to find a way to cook up very distinct narratives for the actors to be able to easily determine which one is part of the DCEU canon, and which one is basically a one-shot thing. When it was revealed last night that Warner Bros. is moving forward with a Joker movie starring Jared Leto, many fans pointed out that it had to mean the standalone origin story starring Joaquin Phoenix was surely no longer happening. After all, surely the studio wouldn't be daft enough to release two different movies with two different actors about the same character within a short space of time? Apparently so, because Deadline reports that Todd Phillips' movie is indeed still happening. That will fall under what the trade describes as "a different DC origins cinematic banner." Phoenix is also still attached to star. To call this decision baffling would be an understatement but given what little we know about the origin story, it doesn't exactly sound like it will be faithful to the comic books anyway! What Warner Bros. doesn't seem to understand is that what fans really want is to see The Joker taking on Batman regardless of whether that's Phoenix's version in an 80s setting or Leto's in the present day. As of right now, though, it doesn't look like that's happening. How do you guys feel about this news? As always, be sure to let us know your thoughts on these Joker movies in the comments section below. It looks like DC's standalone Joker origin movie is one step closer to becoming a reality. According to a new report from That Hashtag Show, the Todd Phillips-directed project will be operating under a working title of "Romeo". With production rumored to start in New York City sometime in September, there's no telling if and how that working title could evolve. While the working title is relatively simple, it does make some bit of sense considering what is already known about the project. In March, a report suggested that the film would follow the Joker as an '80s comedian, who turns to a life of crime after his stand-up career fails. That Killing Joke-esque "one bad day" mindset arguably fits a tragic working title like Romeo. This Joker movie has been a bit of an enigma amongst DC Comics fans, ever since it was first announced in September of last year. Numerous reports about the project have suggested that it will be the first in a line of standalone DC movies, which exist outside of the DC Extended Universe continuity. A recent article confirmed just as much, and that the label of standalone DC films could be dubbed "DC Dark" or "DC Black". The currently-untitled film will have Phillips at the helm, and will be executive produced by Martin Scorsese. Joaquin Phoenix has been in talks to play the Clown Prince of Crime since February, but the actor has played coy about whether or not he has the role. “I see [a superhero movie] as any other movie,” Phoenix continued. “I wouldn’t say… 'I won’t do Westerns.' It depends on what it is. I don’t really care about the genre, I care about the character and the filmmaker. If you have the ability to transcend the genre, then that’s what you want to do. So I wouldn’t say, hands down, no – I wouldn’t do that kind of movie." This stanlone project is just one of the Joker-related movies that DC currently has in production. Earlier this month, it was announced that Warner Bros. is developing a solo movie surrounding Jared Leto's Joker, who played a somewhat-controversial role in 2016's Suicide Squad. There's an awful lot of buzz surrounding Warner Bros.' plans for a Joker movie starring Joaquin Phoenix and while some fans are scratching their heads over the necessity for an 80s set origin story revolving around the Clown Prince of Crime, the project definitely has some potential. Todd Phillips will be at the helm and now some very interesting character details have been revealed about the DC Comics film. According to That Hashtag Show, not only will the movie be set in its own universe but it could be creating "an entirely new Joker mythology." That presumably means it won't necessarily follow the comic books but seeing as the villain doesn't really have one definitive origin story, that does make sense. Anyway, here are those character breakdowns; unfortunately, none of them sound like they'recharacters being lifted from the comic books and being reimagined for this standalone Joker movie. The site speculates that this could be The Joker's mother and that she'll have struggled with mental illness over the course of her life. It's also said that a younger actress is being cast to play Penny. Murray Franklin - Male (65-75) Caucasian. There's no description for this guy but it's said that Robert DeNiro is currently being eyed for the role! With The Joker set to start production in September, details on who will be working behind the scenes have also been revealed. Apparently, Phillips has chosen Shayna Markowitz (Ocean's 8) as his casting director, so we should start getting some announcements soon. Mark Scoon (Wonder Woman) will serve as the executive in charge of production, keeping a close eye on proceedings during shooting. Phillips has also chosen cinematographer Lawrence Sher (Godzilla: King of Monsters) to work on the movie after they collaborated on The Hangover Trilogy and Mark Friedberg (Noah) will serve as The Joker's production designer. Mark Bridges (Fifty Shades of Grey), meanwhile, has been chosen as the costume designer. It's an impressive team and things for this movie are now looking up. Thoughts? Warner Bros.' standalone Joker movie is gradually beginning to come together, and a veteran cinematographer appears to be coming along for the ride. According to a report from That Hashtag Show, the as-yet-untitled standalone film has brought on Lawrence Sher as its cinematographer. While Sher's involvement in the film is currently unconfirmed, it would make sense, as he has worked with the movie's director, Todd Phillips, on the Hangover films, Due Date, and War Dogs. Outside of that, Sher's filmography includes Garden State, Paul, and the forthcoming Godzilla: King of the Monsters. In March, a report suggested that the film would follow the Joker as an '80s comedian, who turns to a life of crime after his stand-up career fails. We've been hearing about this one for quite a while at this stage, and now we finally have confirmation Warner Bros.' Joker origin movie is officially a go. According to THR, Joaquin Phoenix recently finalized his deal to play the classic DC baddie. The Academy Award-nominated actor had always played coy when quizzed about his involvement with the project, although it always seemed pretty clear that he found the character intriguing. The Hangover director Todd Philips is on board to helm the standalone DC flick, which is described as an “exploration of a man disregarded by society [that] is not only a gritty character study, but also a broader cautionary tale," which will be "darker and more experimental in tone and content" than the studio's usual DC-based fare. No release date has been set just yet, but the film is expected to begin shooting this September in New York, and could potentially hit theatres by late 2019. To get some idea of how Phoenix might look in the role, check out the fan-art below. To view the images all at once, simply click on the VIEW LIST (ONE PAGE) button above! Much to the dismay of Jared Leto fans, and die-hard supporters of franchise continuity, Warner Bros. is moving forward with a Joker origin film starring Joaquin Phoenix as the iconic DC villain. Up until recently, everything could be written off as a rumor, with Phoenix himself dodging questions regarding the project. However, earlier this week, the new Joker movie was officially announced and is set to head into production this year. While he may have been sketchy on the details of this movie in previous interviews, Phoenix finally opened up about his take on the Joker when speaking to Collider. As he described the upcoming film, which will be directed by The Hangover helmer Todd Phillips, Phoenix said that it's unlike anything he's seen before. “I wouldn’t quite classify this as like any genre," Phoenix said of the upcoming film. "I wouldn’t say it’s a superhero movie, or a studio movie or a … It feels unique, and I think more then anything, and probably the most important thing, is Todd seems very passionate about it and very giving, and so that’s exciting. I think, underneath the excitement of these films, and the size of them, there are these incredible characters that are dealing with real life struggles. And sometimes that is uncovered and exposed, and sometimes it isn’t, and so I always felt, like, there were characters in comics that were really interesting and deserve the opportunity to be kind of studied. And so I think that’s what Todd sees appealing about this idea." Even before the official announcement was made, many fans believed that this Joker tale would be vastly different from other versions of the character that have appeared on the big screen in the past. Not only did reports state that the movie would be a gritty, '80s era crime noir, but the film's reported budget was also much, much lower than any other DC movie in recent years. Phillips is expected to be working with just over $50 million for this venture, which is significantly cheaper than the likes of Suicide Squad, Justice League, or Wonder Woman. Everything is pointing to this Joker movie being something completely unique, and that might be the best idea that DC has had in some time. Are you excited for Joaquin Phoenx and Todd Phillips' take on the Joker? What are you expecting from the movie? Let us know by sounding off in the comments! 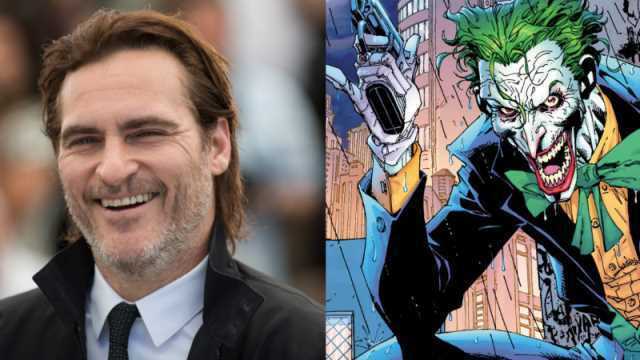 Earlier this week, it was confirmed that Joaquin Phoenix will be playing the Clown Prince of Crime in Todd Phillips' Joker Origin Movie and now, there are reports floating around that the story will have a pretty big Batman connection. The new rumors seem to go with the recent rumblings that the new Joker movie could have a connection to Matt Reeves' upcoming The Batman film, but that has not been confirmed at this time. As with all rumors, we'll have to take this one with a beatarang to the throat for the time being. With San Diego Comic-Con on the way, some news about Joaquin Phoenix's Joker Origin movie is expected to be announced at the convention since DC practically has Hall H to themselves this year. There have been rumors for the last several weeks that point to Robert De Niro taking on a role in the origin tale, though he is reportedly not set to play the character with the big Batman connection. The new rumor suggests that Thomas Wayne will play a pretty large part in the Joker Originstory. The report reads. "As for De Niro's role, I don't think he's playing some canon type character. I don't think he's playing like a local TV host or something like that, who's maybe broadcasting about the Joker. I'm not entirely sure. I do know that one character who's going to have a big role in this is Thomas Wayne." While it isn't clear who will be playing Thomas Wayne, it more than likely will not be Robert De Niro, according to the new report. If Bruce Wayne's father is going to be in the Joker Origin movie, how will he be utilized, especially if the part is supposed to be pretty big? It is entirely possible that the movie will also serve as an origin story for Batman as well, but with an obvious focus on the Joker. If this rumor about Thomas Wayne in the Joker Origin movie is true, this could be the tie-in to Matt Reeves' The Batman as well. A few weeks ago it was rumored that the two DC projects could be related, but it wasn't exactly explained. The main argument was that DC Films and Warner Bros. are looking for a new actor to take on the role of Bruce Wayne, so it would make sense to have him and the Clown Prince of Crime in the same world to possibly meet up later on down the line. While this Joker Origin movie news is exciting, there are many DC fans who believe that it's time to start focusing on other characters in the DC universe. There are a lot more heroes than just Batman and Superman, so why not give more of them a shot? However, those attitudes could change after the release of Joaquin Phoenix's Joker Origin movie and The Batman. You can learn more about the possibility of Thomas Wayne having a large part in the Joker Origin movie at the Collider YouTube channel. It seems Frances McDormand won't be in the Joker Origin movie after all. Recent reports indicated that McDormand was in talks to play the role of Joker's mother in the upcoming Joaquin Phoenix and Todd Phillips Joker origin movie. According to The Wrap's Umberto Gonzalez, it appears that isn't going to happen any longer. "DC NEWS NUGGET: Frances McDormand passed on playing Joaquin Phoenix's mom in Todd Phillip's UNTITLED JOKER ORIGIN movie," Gonzalez wrote. "They want a name for the mom." As implied in the tweet, it seems Phillips wants a big name to play the mother, so it would appear that the role has a substantial part in the film. Details aren't given on why McDormand passed on the role, but that could be for any number of reasons. The film will be produced by Martin Scorsese and will be a dark and gritty take on the character that shows how he came to be the Clown Prince of Crime. The story is expected to take elements from The Killing Joke, and center around a failed 1980s comedian who turns to crime after bombing time and time again. Phoenix has been attached since news first broke about the project, and it took some time for him to fully decide if the project was for him. This will be one of two Joker projects in the works. A standalone Joker film with Jared Leto reprising his role from Suicide Squad is also in development, and it is unknown if he will also return for the upcoming Suicide Squad 2. Leto's film will take place within the confines of movie continuity though, while this origin film will be under a new label that DC and Warner Bros. have yet to announce. DC's standalone Joker movie remains a bit of an enigma, but it looks like the film's cast is shaping up pretty nicely behind-the-scenes. According to a new report from Omega Underground, visual effects supervisor Edwin Rivera will be joining the upcoming project. Rivera has a pretty varied filmography when it comes to visual effects, ranging from Marvel Cinematic Universe projects Spider-Man: Homecoming and Guardians of the Galaxy Vol. 2, to Titanic and 22 Jump Street. An additional report by That Hashtag Show suggests that Rivera isn't be the only crew member to recently join the project. Production designer Mark Friedberg (Across the Universe, The Amazing Spider-Man 2) and costume designer Mark Bridges (Boogie Nights, Phantom Thread) have also reportedly signed on. The film, which is expected to begin production this September, will be directed by Todd Phillips and star Joaquin Phoenix. In March, a report suggested that the film would follow the Joker as an '80s comedian, who turns to a life of crime after his stand-up career fails. And as it turns out, Phoenix has had that sort of idea kicking around in his head for quite some time. This standalone project is just one of the Joker-related movies that DC currently has in production. Last month, it was announced that Warner Bros. is developing a solo movie surrounding Jared Leto's Joker, which would exist within the DCEU world. Are you excited to see how this Joker origin movie takes shape? Let us know what you think in the comments below. Joaquin Phoenix is the latest A-list Hollywood star to join the world of superhero cinema and now, the movie featuring him as The Joker has a release date. According to THR, director Todd Phillips' standalone Joker movie has landed an October 4, 2019 release date. Perhaps even the bigger news in this report, it has been confirmed the name of the film will be short and sweet: Joker. Now that we know Phoenix is playing the movie's titular character, details continue to surface surrounding the movie's production. Hangover franchise alum Todd Phillips is currently tabbed to direct the movie, which will see the Oscar-winning Martin Scorsese on board as a producer. And, according to earlier reports, Thomas Wayne is rumored to make an appearance alongside another big-time Hollywood name. "As for [Robert] De Niro's role, I don't think he's playing some canon type character," Hollywood insider Jeff Sneider recently said. "I think he's playing like a local TV host or something like that, who's maybe broadcasting about the Joker. I'm not entirely sure. I do know that one character who has a big role in this is Thomas Wayne." Speaking to press earlier this summer, Phoenix dove in to explain what makes his take on the iconic Batman villain unique to the superhero genre. “I wouldn’t quite classify this as like any genre," Phoenix said of this upcoming film. "I wouldn’t say it’s a superhero movie, or a studio movie or a … It feels unique, and I think more then anything, and probably the most important thing, is Todd seems very passionate about it and very giving, and so that’s exciting. I think, underneath the excitement of these films, and the size of them, there are these incredible characters that are dealing with real life struggles." Zazie Beetz is in talks to join the cast of Todd Philips' Joker. THR broke the news while cautioning that the deal is not finalized yet - but if the Deadpool 2 actress does sign on, she will play "a single mother who catches the interest of the man who will become the Clown Prince of Crime." Sounds like The Joker is going to have a love interest! We recently found out that the standalone origin story for the iconic Batman villain had landed a 2019 release date and is scheduled to begin shooting this September, so it's no surprise that the studio is busy locking down the rest of the cast. There's a rumor doing the rounds that Robert De Niro has been confirmed to appear, but we don't have anything solid on that yet. If Beetz does join Joker, do you think there's a chance she'll play an established DC Comics character? Sound of below. The Joker's appearances in previous DC Comics films are often obscured with mystery, allowing viewers to create their own backstory for the character instead of having it explicitly laid out. In the Joaquin Phoenix-starring Joker, a major goal is to depict the villain's transformation into a horrifying villain, with one report claiming that his real name in the film will be Arthur Fleck. That Hashtag Show reported on the name of the character, which ignores connections to established pseudonyms for the villain. The site theorizes that the character will return to a crumbling Gotham to live with his aging mother. The big question of the film being how one seemingly normal man could become such a ruthless villain, with some theories suggesting this film could tie Joker's parentage to the Wayne family in some capacity, possibly establishing the connection between Batman and the Joker and why they have such a deep, albeit twisted, connection. After months of dodging questions about his involvement in the film, Phoenix finally confirmed he had signed on to the project while detailing what drew him to the story in the first place. “I wouldn’t quite classify this as like any genre," Phoenix shared with press. "I wouldn’t say it’s a superhero movie, or a studio movie or a … It feels unique, and I think more then anything, and probably the most important thing, is Todd seems very passionate about it and very giving, and so that’s exciting. I think, underneath the excitement of these films, and the size of them, there are these incredible characters that are dealing with real life struggles." 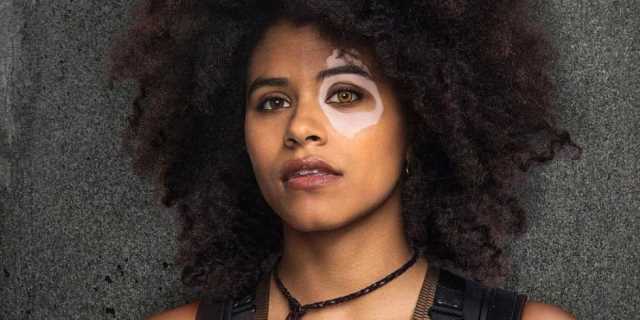 Earlier this week, reports emerged that Deadpool 2 and Atlanta star Zazie Beetz would be joining the film, with some rumors claiming she'll play a single mother who has a run-in with Fleck and potentially humanizes him, showing the character the struggles that she faces to earn a living and support her family. Another surprising potential player in the film is Robert De Niro, who is rumored to be circling the project. It's unknown what role he would play, but with Martin Scorsese serving as a producer on the film, it's likely the filmmaker helped promote the project to his former collaborator. We knew Warner Bros.’ Joker origin movie was going to be taking cues from Martin Scorsese dramas like Taxi Driverand The King of Comedy, but this takes things to an entirely different level. Robert De Niro, the actor who starred in both of those Scorsese joints, is now in early talks to join the cast of his first comic book movie, opposite Joaquin Phoenix as Gotham City’s Clown Prince of Crime and potentially Deadpool 2‘s Zazie Beetz as a single mom who catches the eye of Batman’s greatest foe. Read more about the Robert De Niro Jokernews below. Hot on the heels of this morning's Robert De Niro news, we have another big piece of Joker casting news as it's being reported that American Horror Story star Frances Conroy has joined the cast. The Wrap is reporting that Golden Globe-winner Frances Conroy has joined the cast of Warner Bros.' Joker as the mother of the future Clown Prince of Crime. She joins a cast headlined by 3x Academy Award-nominee Joaquin Phoenix (Don't Worry, He Won't Get Far on Foot), who will star as the titular villain. Zazie Beetz (Deadpool 2) and 2x Academy Award-winner Robert De Niro (The Irishman) are also both currently in talks to the join the ensemble. Beetz will play a single mother who catches the eye of Phoenix's character before his descent into madness while De Niro is expected to play a talk show host that plays an integral role in the Joker's origin. Todd Phillips (The Hangover) is helming the standalone feature, which carries a modest $55 million production budget, with a script he co-wrote alongside Scott Silver (The Fighter). Plot details remain under lock-and-key at Arkham Asylum, but the story is expected to be set in Gotham City during the early 1980s. Production is expected to begin this September in New York and WB has already dated the film for an October 4, 2019 release. The Joker origin movie is set to display a completely new side of the DC universe, and it looks like a surprising character could be a part of that. The GWW recently uncovered a new casting description for Joker, which suggests that a new older male character will play some sort of role in the film. You can check it out below. "MR. WARNER Supporting Male (60-70) [MR. WARNER] male, Caucasian, 60s, a deeply-tanned, hair dyed so black it was almost blue, highly successful, New York City businessman, rumored to be running for Mayor. He’s a public figure in the city and a symbol of wealth [STRONG SUPPORTING]"
While it's anyone's guess as to which character this could be, some fans have already begun to speculate that it could be Rupert Thorne. In the comics, Rupert is a corrupt politician turned crime boss, who proved to be a thorn in Batman's side throughout the years. The character almost played a role in Tim Burton's Batman film, where he would have been depicted as the man who ultimately orders the hit out on Thomas and Martha Wayne. Considering the fact that Thomas Wayne is rumored to play a role in Joker, it certainly would fit that Rupert could factor into the proceedings as well. Joker is set to have Joaquin Phoenix playing the Clown Prince of Crime, with Zazie Beetz reportedly in talks to play a single mother role. Robert De Niro is being eyed to play a talk show host, and Frances Conroy in talks to play the Joker's mom. Would you want to see Rupert Thorne factor into Joker? Let us know what you think in the comments below.